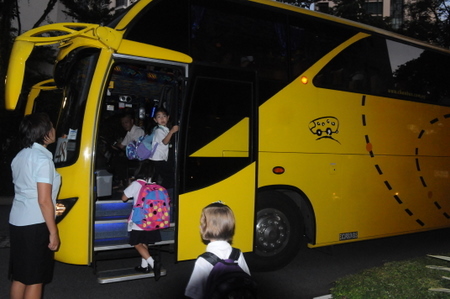 Bus Association Voices Concerns Over Carpool Service Schoolber, Parents Say It's Actually A "Wake Up Call"
Just last month, we talked about the launch of a local carpool service for school-going children, Schoolber. Created by husband and wife team Toni and Charlemagne Teh, the service works very much like UberPOOL, except that the drivers are parents who are also sending their children to school. With safety of the children as a priority, the corresponding app would also help notify parents of when the transport is arriving, and when the child is dropped off safely at school. The concept seemed to be a hit, and even at that point of time, Schoolber had received “200 parent drivers who’ve signed up their interest, and 1,000 parents who are planning to enrol their children with the service”. However, some parents were also voicing concerns that the service, as compared to more ‘traditional’ private bus service providers, doesn’t seem to provide the much-needed insurance that will cover them in the event of accidents. Fast forward a month, and the startup has once again appeared on the news – this time, with the Singapore School Transport Association (SSTA) raising concerns on “whether the service […] was legitimate and covered by insurance”, pretty much voicing the sentiments of some parents in the previous coverage. The Association has around 1,200 members consisting of self-employed bus operators and owners of transport firm, and they have a fleet of over 3,500 buses in total. Wong also emphasised that school bus drivers are “vocationally trained and go through background checks”, and questioned if parents should be letting other parents drive their children. However, he refused to comment when asked if their concerns are simply raised in light of a new competitor. Inevitably, Schoolber’s co-founder Charlemagne Lim spoke out against SSTA’s statements, stating that “it adheres to carpooling laws as parents do only two pooled trips a day – what is legally permissible – and collects a fee only to cover costs”, and unsuccessful matches for carpools will be refunded. As for insurance, however, Lim mentioned that since the service is a carpooling arrangement, (which, by law, exempts drivers from the need of having vocational licenses) no commercial insurance is required by its drivers. On social media, Singaporeans (most of whom are parents) seem to be taking on the side of Schoolber, many stating that the Association seems to be only bringing these concerns up because it’s facing a disruptor to the long-standing status quo. A few have also brought up their personal grouses about the currently-standing bus services, which they say are not only expensive, but require payment even during June and December month-long holidays. 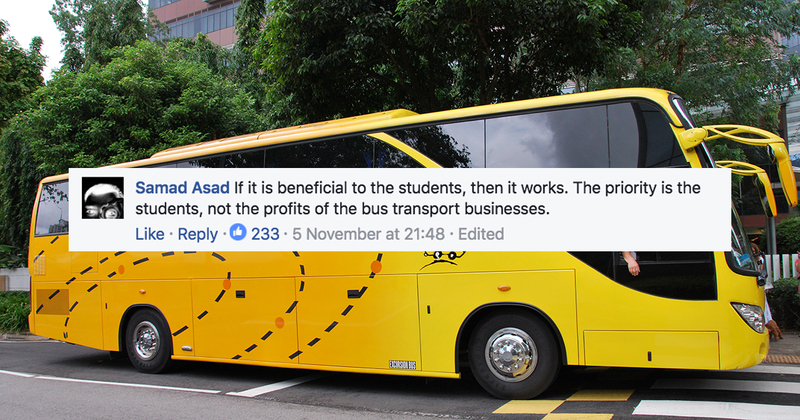 According to the Straits Times report, Schoolber’s fees are recommended to be set between $70-$150 a month, while bus fares currently range from $80-$300 per month. For the former’s model, fees are stopped during the June and December holiday months. While many have stated that the disruption is inevitable and it was only time that the ‘monopoly’ was broken, some have also suggested that as compared to complaining, bus operators could sell their strengths and use it as a chance to improve instead. From general comments, it does seem like the previous concerns about insurance have been cast aside – but perhaps only temporarily. Either way, it’s clear that many are embracing the disruption and have taken SSTA’s statements rather negatively. But as for whether Schoolber will bring about a significant dent to the current hold of the industry by bus operators – only time will tell.